It is also important to keep in mind that the family did not want to bring forth a lawsuit at first, but did so after the Landmark Care Center refused to respond to an official letter that requested the case be settled outside of court. 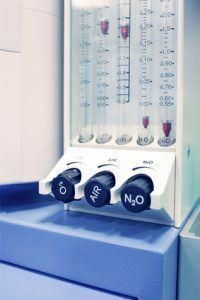 In order to understand just how negligent 71 percent oxygen levels are, you first have to take into consideration that healthy individuals have oxygen levels of approximately 95 percent. When people fall below 90 percent, added oxygen may be necessary. In order to regain normal levels, doctors may recommend home oxygen therapy at that point. Severe hypoxemia occurs once oxygen saturation drops below 80 percent. Hypoxemia means that the oxygen levels in the blood are so low that it can harm vital tissue and disrupts bodily function. Those numbers should provide an accurate idea how dangerous the situation was for Ms. Gray and how reckless it was that the staff did nothing. Perhaps just as troubling as the actual death is the fact that Randy Hyatt – president of Hyatt Family Facilities (owners of the Landmark Care Center) – suggested that bringing forth a lawsuit three years after the death of Ms. Gray is somehow self-serving. Interestingly enough, this is not the first time that the Landmark Care Center received negative attention. A Department of Social and Human Services investigation in 2011 of three separate cases found that staff members were in fact negligent in all three cases. Two of those three cases involved patient deaths. The wording was that the nursing home placed residents in “immediate jeopardy” and did not do enough to prevent emergencies. Despite the fact that employees received suspensions because of the investigation, the Hyatt Family Facilities are still challenging the findings. What Mr. Hyatt might not understand is that this is not necessarily about receiving compensation and certainly not about making a profit off the death of a loved one. It is about making sure that a corporation that is clearly negligent and refuses to accept its mistakes should not be able to continue to operate with immunity. This is one of the reasons that cases like these, though tragic, are important and deserve media attention. Without giving these large corporations a reason to change, Ms. Gray may not have been the last person to suffer.